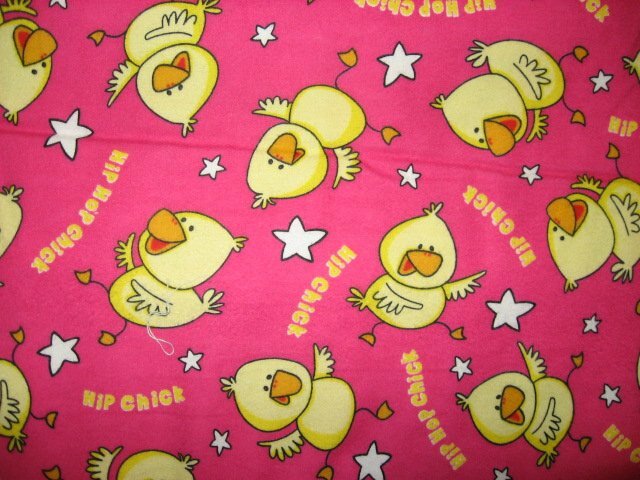 Real cute yellow chicks and stars on soft, new, clean Hot pink 100% flannel Cotton fabric smoke free Brand new off the bolt! This is real cute flannel to make something for anyone who loves chickens. Soft enough for a receiving blanket. Great for a day care comfort drag along blanket. dimension: 41 inches by 35 inches.